Welcome to the 4th case study in our Travel More series. So far in the series we have talked to three families using different strategies to travel more together as a family. This week we meet the crew of the sailing vessel “Round About”, an American sailing family who has ditched suburbia to explore the world. This case study is especially close to my heart because my family did this when I was a kid and I am convinced that it was those years sailing that led to my own wanderlust. In fact, in 2015 our family spent 5 months sailing around the Bahamas and we are hoping to go cruising again in the future. One of the great things about traveling via boat or RV/van is that your home travels around with you, something Stef talks about later in the interview. I know for our family one of the hardest things about long-term travel is living out of backpacks and not having a home. Traveling via boat or van, your home moves around with you, so you have the best of both worlds. Living this way in a tiny home forces you to live with less stuff with a much smaller environmental footprint too. 1.1 1. Tell us a little bit about your family and your history with sailing/travel. 1.2 2. You are just starting off on a multi-year sailing adventure. Can you tell us more about your plans, your boat and what motivated you to take this trip. 1.3 3. What do you like the most about living on a sailboat and the cruising lifestyle? 1.4 4. What do you find most challenging about living on a sailboat and the cruising lifestyle? 1.5 5. Can you talk about education and socialization of the kids aboard? 1.6 6. How do the kids feel about their life aboard? 1.7 7. The million-dollar question: How have you been able to finance this adventure? 1.8 8. Do you have to have a lot of sailing experience prior to starting a trip like this? 1.9 9. What have been some of the highlights so far of your adventure? 1.10 10. What advice would you give to families interested in going cruising? 1.11.1 Enjoyed Reading this Post? SIGN UP for more. Jared and Stef and their three children are currently sailing around the Greek Islands and plan to continue their way around the world, crossing the Atlantic Ocean later this year. Along with their salty sailing pup, they are adventuring while living life afloat. On their blog they share every aspect of sailing life (the good, the bad, and everything in between). I hope you enjoy hearing more about this sailing family. 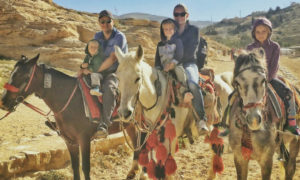 Like many traveling families, they were motivated to make the leap while dealing with a health scare. They also faced a huge obstacle at the beginning of their cruising journey when their new boat was destroyed in a hurricane. But, they persevered and are now enjoying exploring the Med. 1. Tell us a little bit about your family and your history with sailing/travel. Jared and I had a little hobie cat 16 before we were married and you’d often find us out on the water somewhere sailing that boat! We both love the outdoors and brought up our kids this way. They were sailing babies from the start and grew up accompanying us on races or just out day sailing in the Monterey Bay for fun. We would travel a little throughout the year, with maybe one big trip here and there. With work and school schedules, it just didn’t allow for much in the way of traveling. This is one of the reasons why we decided to make a change in our lives. 2. You are just starting off on a multi-year sailing adventure. Can you tell us more about your plans, your boat and what motivated you to take this trip. Our motivation: This trip was 10 years in the making. It started out as a dream and over the years we slowly worked towards making it a reality. Then, the summer of 2016, Jared was hospitalized. For a few days, doctors didn’t know what was wrong. That was one of the scariest moments of our lives and we decided right then, we would make this sailing adventure happen no matter what. That was what really got the ball rolling. We immediately began to sell off things we didn’t need and finished remodeling the house. About a year later, we had sold the house, most of our possessions, and were on our way. We road-tripped across the US before moving onto our boat in the BVIs (Caribbean). We had lived aboard for only 5 days before two category 5 hurricanes destroyed it. Fortunately, we were insured and were able to start over, despite being in a totally different ocean! The boat: RoundAbout is a 2012 Leopard 46 catamaran. She is the 4-cabin version, so there is plenty of room for our family. We made quite a few modifications, such as adding new tech equipment, water maker, washing machine, solar panels, and the kids’ favorite, a swing. The plan? Sailors have a saying: plans are written in the sand at low tide. We had planned on starting from the Caribbean and look where that got us. So for now, we are sailing around the Greek islands until June and will then head up to Croatia for awhile. From there, we will work our way west to cross the Atlantic Ocean back to the Caribbean for the winter and transit the Panama Canal in the spring. From there, it is on to the South Pacific. 3. What do you like the most about living on a sailboat and the cruising lifestyle? It is a much slower paced lifestyle and involves less stress. The freedom to spend our time as we choose, without being tied to a schedule is amazing. We look forward to exploring each new place and immersing ourselves in new cultures. It’s the magic of this lifestyle. Living on a sailboat means we take our home with us wherever we go. No packing or worrying about what to bring; we just haul anchor or untie the lines and we’re off! While sailing, we can walk around, make food, exercise…it’s a much less restrictive method of traveling. 4. What do you find most challenging about living on a sailboat and the cruising lifestyle? Living on a boat means there are limits to everything; hot water, storage, power…we have definitely learned a lot about conservation, much more so than living on land (and we really were conscious about our global footprint then). Another challenge is the weather. Sailing means you can’t always just pick up and go when you want. We are constantly checking the weather to ensure we are safe and in a good spot. If the winds change, we may need to change our location. Sometimes, we can go a week without having to worry about hauling anchor, but usually we are moving every few days. In extreme weather, we go tie up in a port until it blows over. Finally, missing our family and friends back in California. We stay connected digitally and with occasional phone calls or emails. Sometimes, we have some visit us, and we absolutely treasure those moments. 5. Can you talk about education and socialization of the kids aboard? We are world-schooling our kids with some of the traditional curriculum thrown in. I am a teacher, so I use what I normally would in my classroom. The benefit of travel, is we really get to learn about the culture and history—this really brings learning to life! Living afloat also provides many hands-on learning opportunities, such as navigation, geography, mechanics, and many other important life skills. I share some of these resources on our blog’s education page. As far as socialization goes, we try to meet up with other traveling families as often as we can. There are a few sailing family groups that we belong to and it is easy to meet up with someone from there, as long as the timing works out. 6. How do the kids feel about their life aboard? They love this life! The freedom and fun in exploring new places is one of their favorite aspects of traveling. 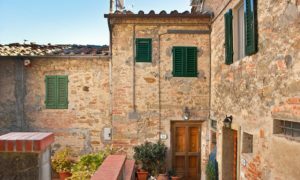 They are involved with our planning and enjoy choosing places to visit. You will often find them fishing or swimming around the boat. On the flip side, they do miss their friends and family. 7. The million-dollar question: How have you been able to finance this adventure? We sold our house and most everything we owned to finance this adventure. Jared is a civil engineer and can work from anywhere (he is self-employed). I am on sabbatical from my school district, but I provide STEM education classes for kids and work as an educational consultant occasionally, for schools, teachers, and parents. 8. Do you have to have a lot of sailing experience prior to starting a trip like this? Some people have left the dock with zero experience. This is not something we would recommend, especially with kids on board. 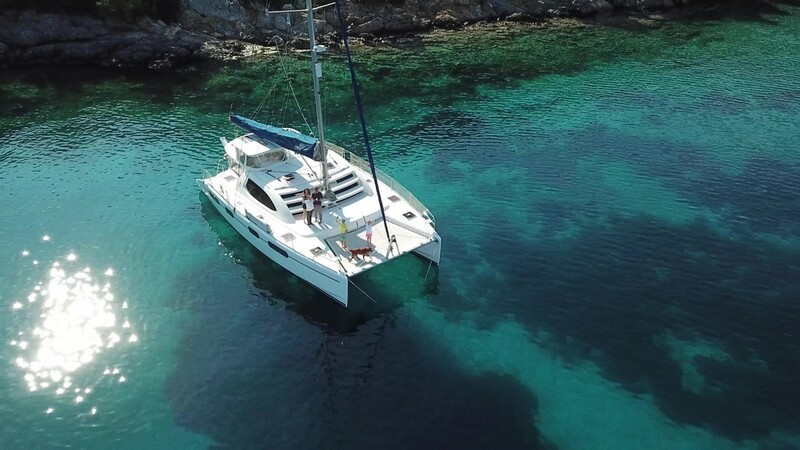 Someone who is serious about the cruising lifestyle should take some basic sailing courses, including coastal navigation and safety at sea. Taking basic first aid training and having common sense would be good, too. 9. What have been some of the highlights so far of your adventure? There have already been so many! We love experiencing new things, especially food. The anticipation of arriving to a new place is a great feeling. Exploring and just getting lost wandering the streets, leads to so many new discoveries. Also, meeting new people and making new friends around the world. 10. What advice would you give to families interested in going cruising? Start planning and go for it! Read every blog you can and ask questions. Join the sailing groups online. Research, definitely do your research. If you can, charter a boat a few times and live this lifestyle for a week or so. Set foot on as many boats as possible. Look closely at the features and see if you can visualize yourself living on it. If it feels like home, you’ve found your boat! Are you now dreaming about buying a boat and sailing away with your family? 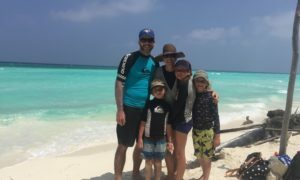 I can’t say enough good thinks about the cruising lifestyle and I am so excited to share with you this cruising family’s story. To read more about their adventures, read along on the SV Round About blog. You can also follow them on Facebook, Instagram, Twitter and YouTube. Cruising is something I am really passionate about and in a follow up article coming shortly, I will share more amazing cruising families that you can follow for tips and inspiration. 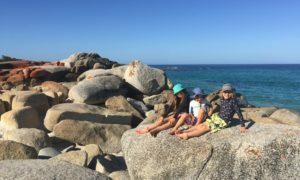 If sailing isn’t your thing, but you would love to do family gap year, check out this new case study. Is sailing the world something you have always dreamed about doing? Let us know in the comments below what questions you have and we will try to help.